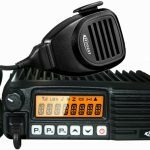 Use the built-in CTCSS, DCS, DTMF, 2 Tone, MDC and 5 Tone capability to set up user’s own talk groups and quiet stand-by when others are talking. Special tone code for group and individual calls, and more features are available to support flexible, perfect selective calling operations. Customizable Scan Template for each channel allows up to 16 different scan lists for convenient administration in large work group. Auto-Scan and Vote features are helpful for monitoring on multiple channels. The PT6500 series offers both standard and Priority Scan modes. Call Back allows immediate response to a received call without having to manually search or change channels. Built-in audio compander compresses the sudio before the transmission and expands it at the receiver side. As a result, the signal to noise ratio improves to provide clear audio. If the radio is killed or stunned, all attempts on operation by user, except power on/off, will be ignored. The radio will be activated or revived only when it received the correct code. The radio enters emergency mode if the user does not respond to a warning call (Lone Worker) or put the radio vertically (Man Down), adding security and safety for individuals who work remotely and longly. Built tough to take rough treatment, the PT6500 has passed the IP54 rain resistance tests. It also meet MIL-STD 810 C/D/E/F environmental standards. The PT6500’s GPS function, supported by control center and management software, allows uses to be located instantly, either to dispatch among group or locate of an emergency call. Allowing for more efficient use of resources or determining location in life-threatening situations. KB58 High capacity battery @ 1700mAH. Channel Annunciation While switching to another channel, the user can hear the voice annunciation of the current channel number. mode while receive signals or being operated. In harsh, noisy and dusty working conditions such as construction sites, your radio is apt to be smudged. The PT578 will bring you reliable communication and high productivity in these working conditions, and its superb waterproof performance allows you to wash off mud and dust on your radio. 1.6w audio output and voice compander ensure crisp, clear and strong audio quality even in any noisy environment. PT578 meets waterproof IP65 where the radio dose not harms when work in the rain. In addition, it meets MIL-810C/D/E/F standards, it could withstand harsh environment. The PT578 series covers a wide frequency range with one version (136-174, 400-450, 420-470 MHz). Different channel spacing (25, 12.5 kHz) and TX Power (high, low) are programmable per channel. Kirisun KB-42S Battery charger, Kirisun KB42S Battery charger, Kirisun KB-42A Battery, Kirisun KB42A Battery, Kirisun PT558 Two way radio, Kirisun PT-558 Two way radio.